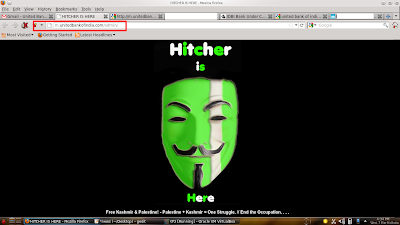 Last week Pakistani hacker named Hitcher has hacked into IDBI Bank and blown the official website of IDBI Paisabuilder & Paisabuilder.in (both are the Online stock & share trading portal of India owned by IDBI Bank.) Now he moved his attack to another important Bank and that is United Bank of India widely known and UBI. As expected here he has hacked into the UBI Mobile Home (A sub-domain of UBI for Mobile Banking) and defaced the homepage as well as Administrator login panel. The hacker has also created a deface mirror on Legend-H. Later the UBI authority has restored the index page to its normal format but still the Admin login link is defaced.